Anyone wishing to compete at the 2016 Canadian Masters Championships needs to enter in each event they are racing. All rowers and coxswains must be registered and in good standing with their national rowing federation. Entries will open May 1st and must be made through RegattaCentral on or before July 7th, 2016. Late entries accepted until July 10 – a surcharge of $10 per seat will be added to the standard entry fee. Scratches will be accepted through Regatta Central with no penalty until 11:59 pm CST July 10. The scratch fee made after the July 10 deadline is equal to the entry fee. Payments should be made at the time of entry but entries can be made without crew listings. We would however ask that boating lineups be confirmed by the closing date of July 7th, 2016. Composite crews are welcomed provided they are identified at the time of entry. Individuals may only represent one club at the regatta. Members of the same crew shall compete wearing uniform clothing. Each member of a composite crew shall wear his or her own club uniform. The age category is as of the person’s age on the 31st of December of the year of the regatta. The age categories do not apply to coxswains. The average age category of a Masters crew shall be determined by the average age of the rowers rounded down to the nearest whole number. A Masters crew or sculler may compete in a lower (younger) age category but not in a higher one. 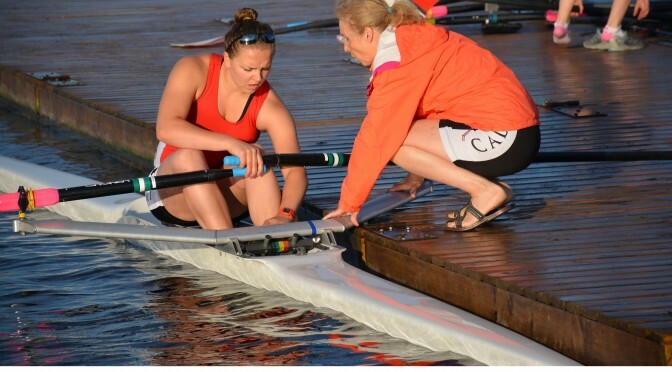 Coxswains minimum 50kg for women`s events and 55kg for men’s events wearing racing uniform. Underweight coxswains will be provided dead weight to make up the difference. All lightweight rowers AND coxswains shall weigh in daily not less than one hour and not more than 2.5 hours before the first scheduled lightweight or coxed event of that day.